Here at The Oculist we work hard to create a relaxed atmosphere for all who stop by for a visit. 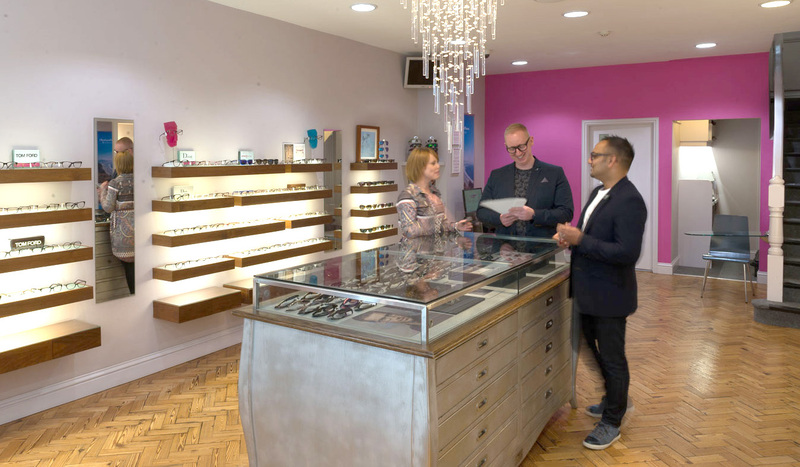 Our independent shop has been designed to show off our exclusive frames and to make it easy for you to select from. No apologies here for raising a glass (pun intended) to the not so humble frame – we are extremely passionate about eyewear and even more about our amazing customers. Many of our first brave customers have been using us since our first year, as well as recommending us to all of their families and friends, and for this we’re truly thankful. The aim for The Oculist has always been to combine the clinical nature of an expert eye examination with an eye for style and fashion. With over 1000 frames and sunglasses to choose from at any time, we hope that we’ll always find something to suit. 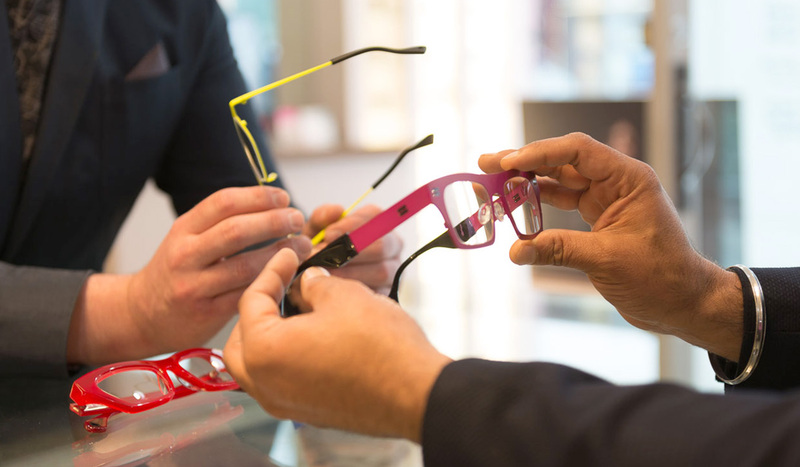 All our staff are involved with the buying which gives them excellent knowledge about frame colours and shapes, whoever you speak to.